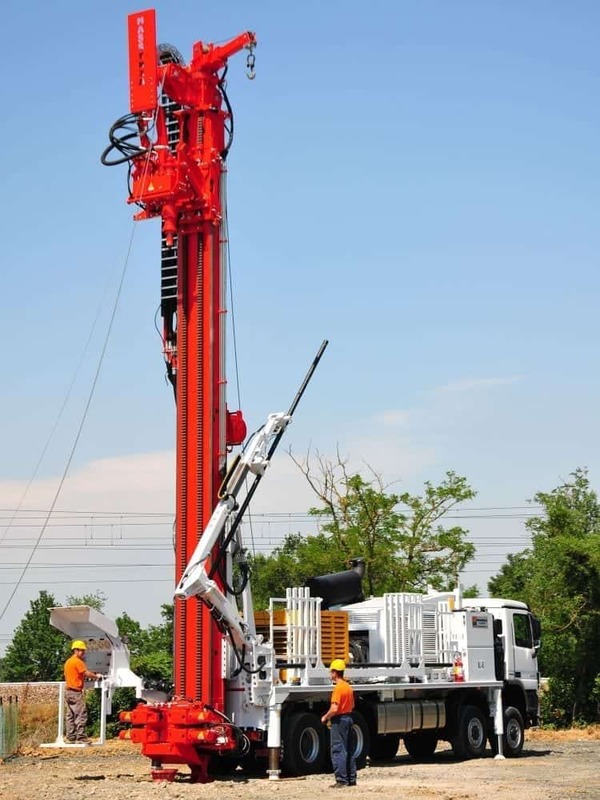 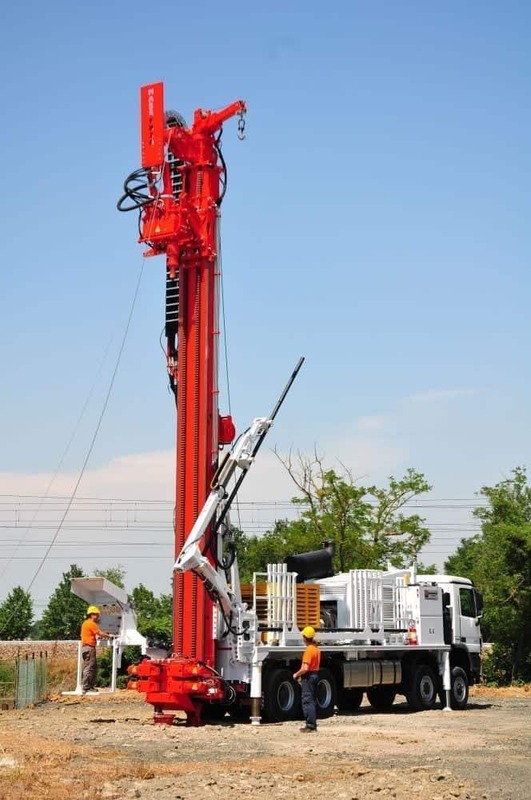 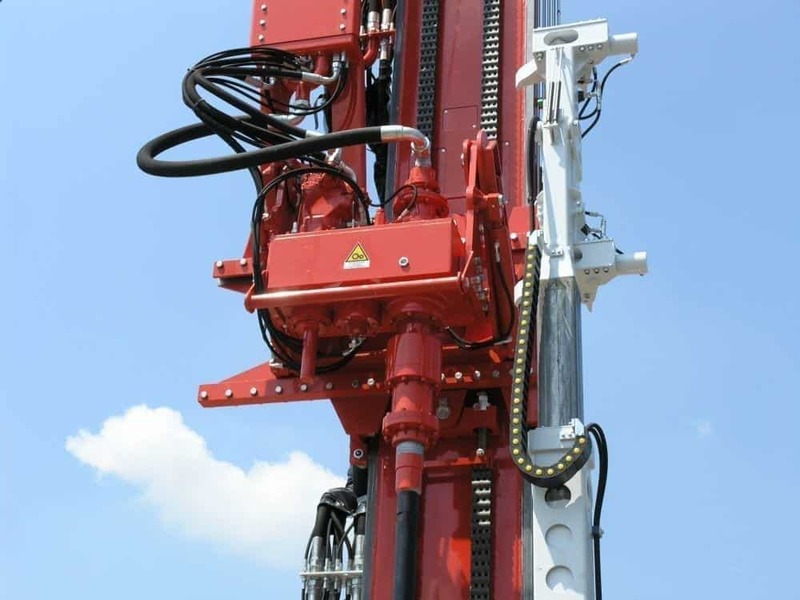 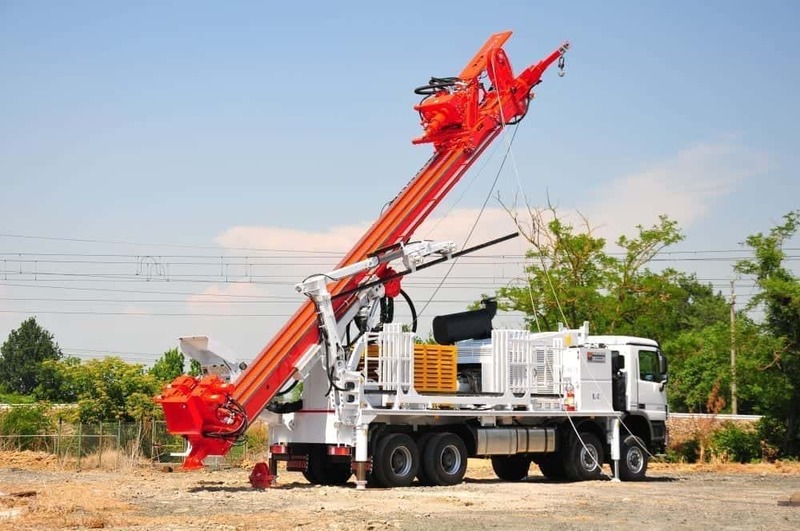 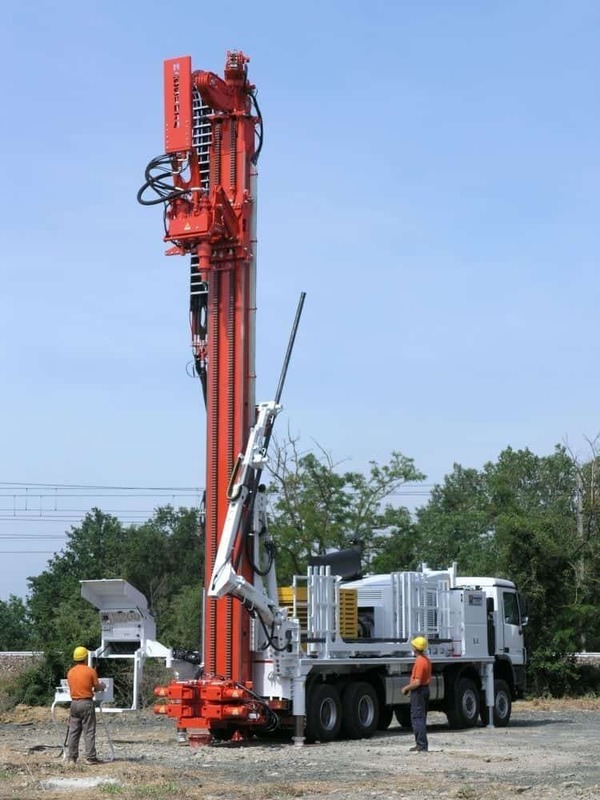 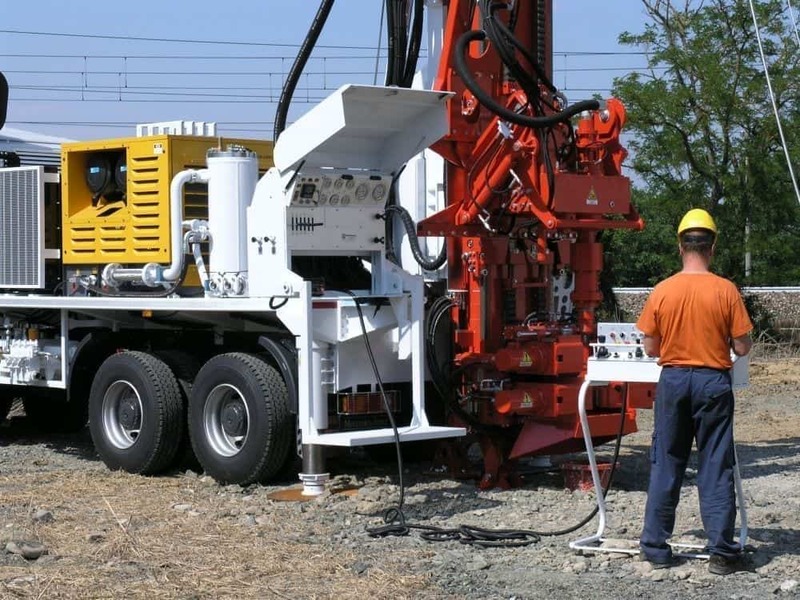 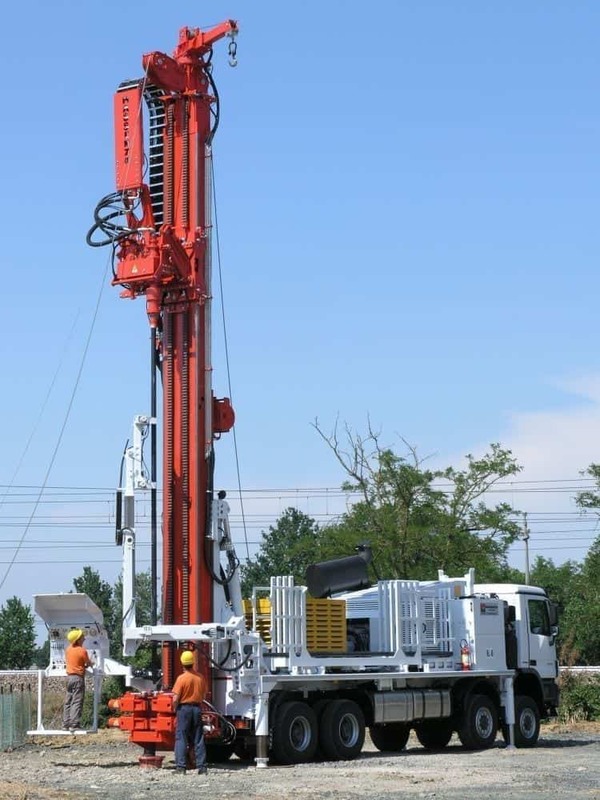 MI45 Mineral exploration, drilling rig designed to work with NQ, HQ and PQ drilling rods suitable for reaching deep depths (2620 m HQ system). 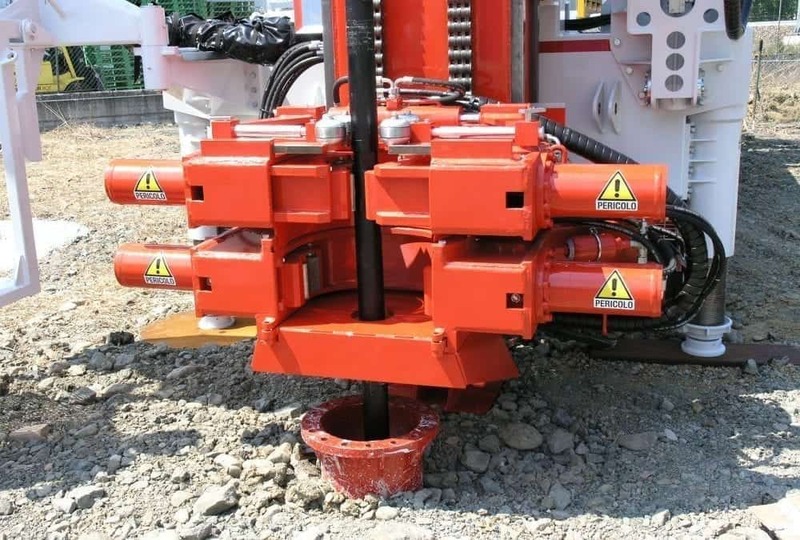 Thanks to the automatic loading system, drilling takes place in absolute safety and at the same time as shown in the video below with a huge time saving compared to traditional auction loading systems. 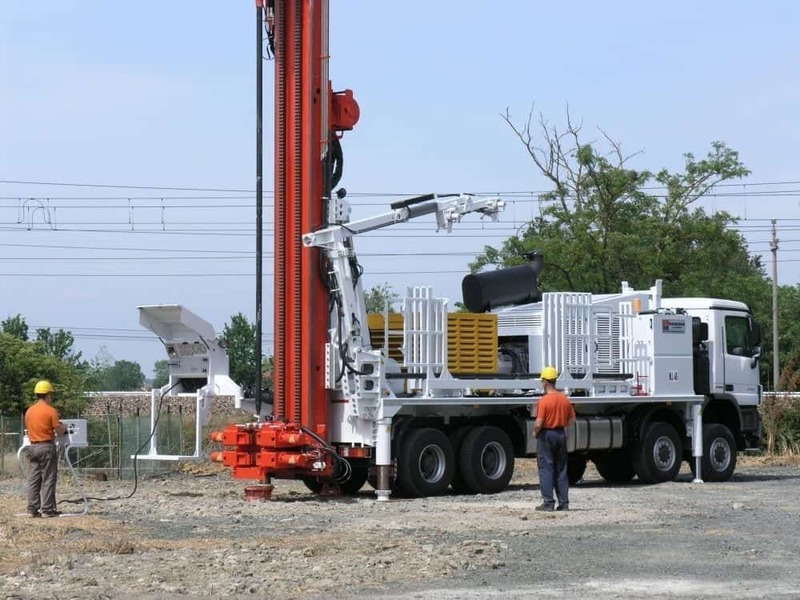 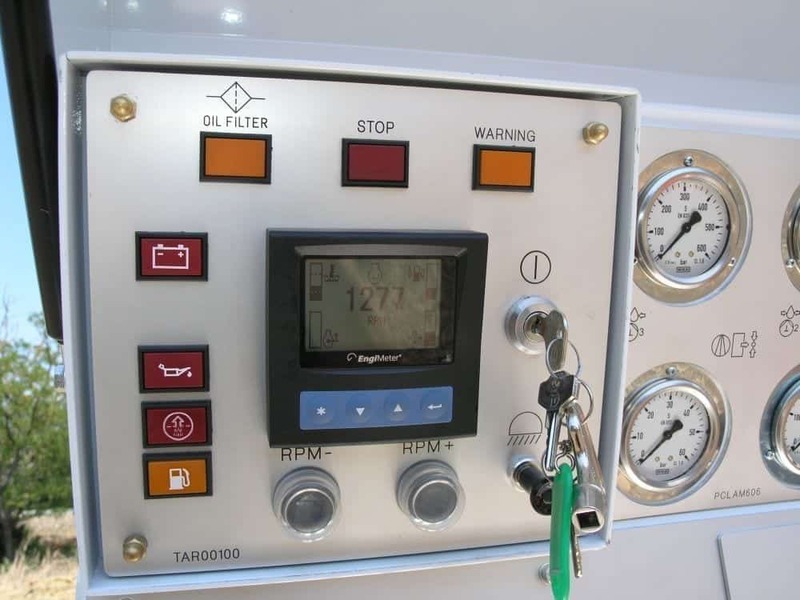 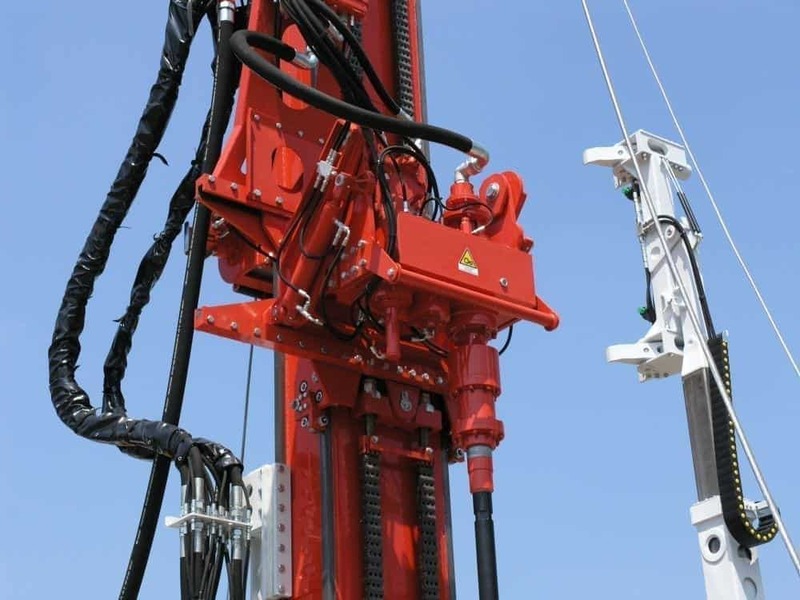 This solution therefore saves an enormous amount of time in the phase of handling the drilling battery to the advantage of a considerable reduction in the construction costs, so only 2 operators could manage the entire drilling yard. 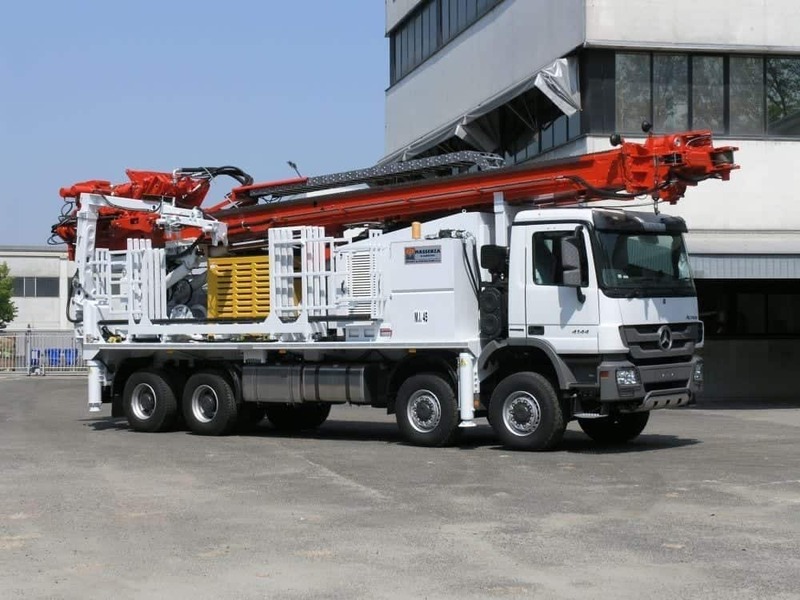 - MERCEDES ACTROS 8x8 truck. 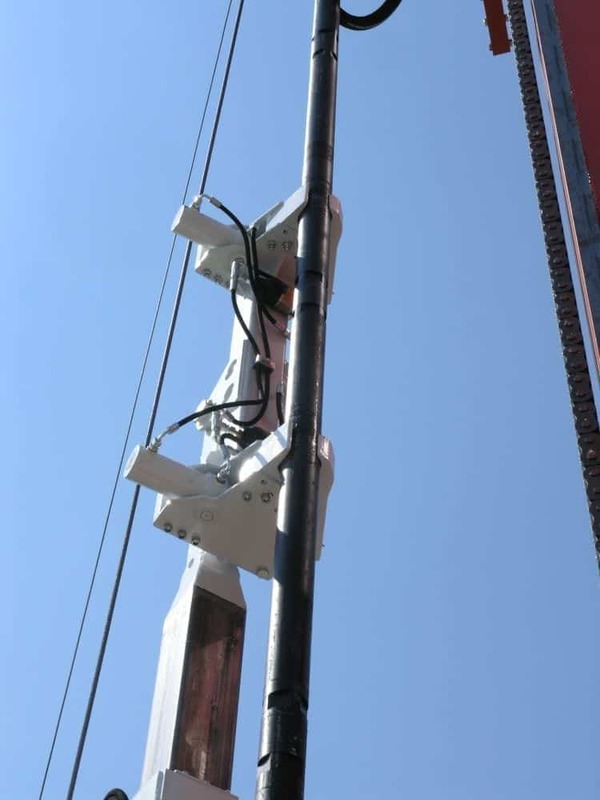 - 2.25 m mast sliding to work at 90 ° and 45 °. 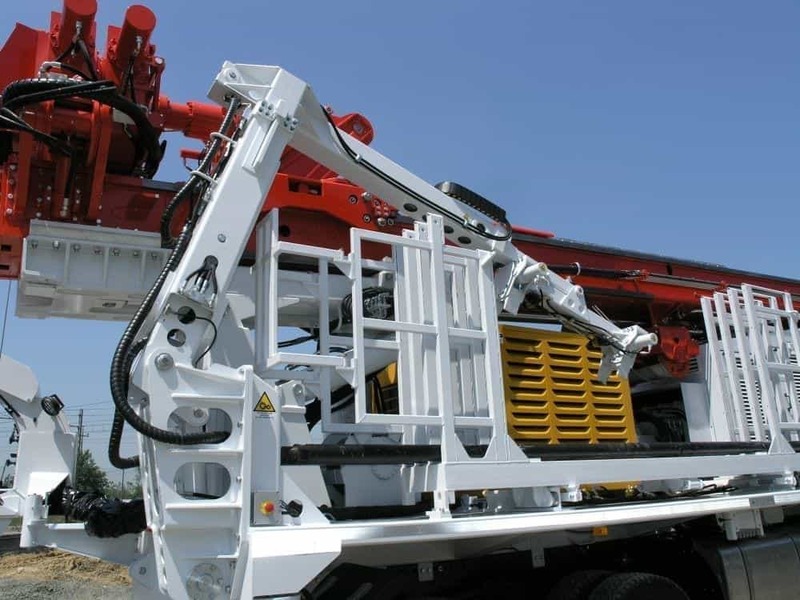 - Maximum pull up 45 tons. 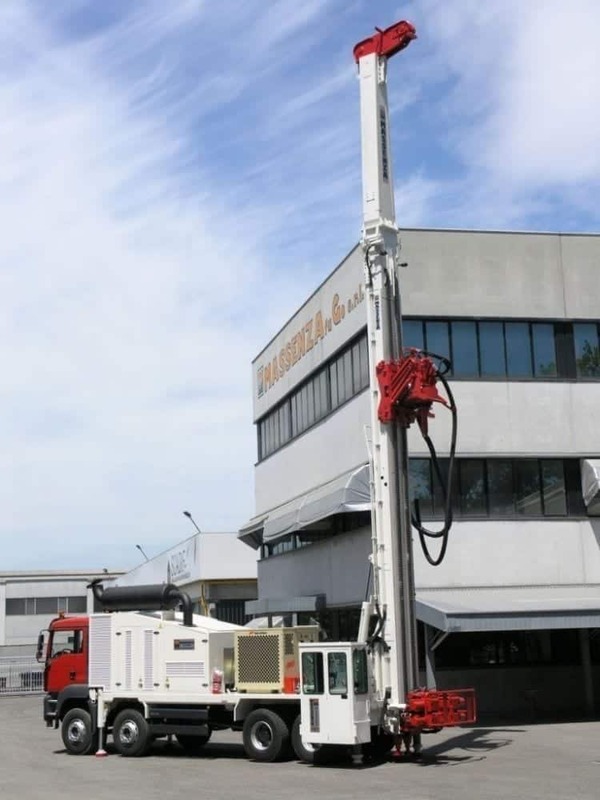 - Atlas-Copco "PTO" version 2-stage compressor, ATLAS-COPCO "ORX 12" model with hydraulic clutch: maximum pressure 30 Bar (435 psi) - Free air delivery 35.3 m³ / min (1250 cfm). 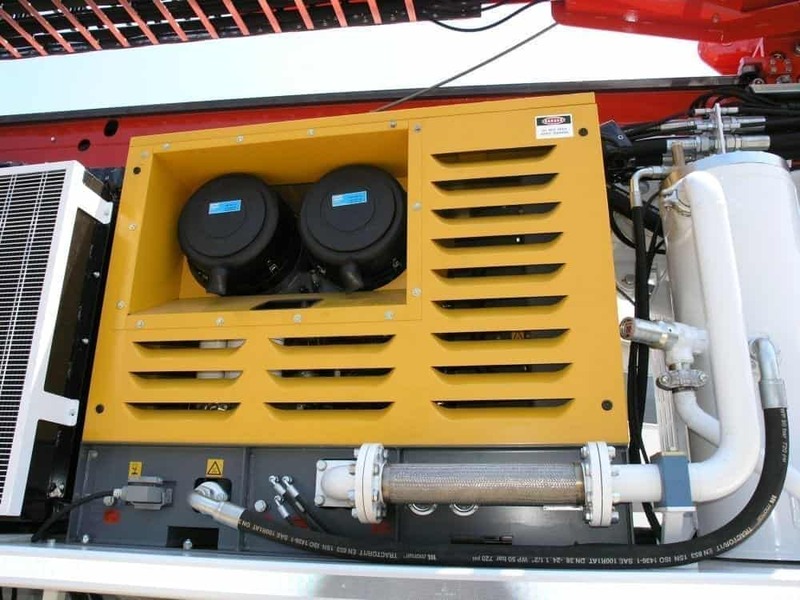 - Triplex water pump: 200 l / min at 50 bar - Wireline winch: Maximum speed 110 m / min. 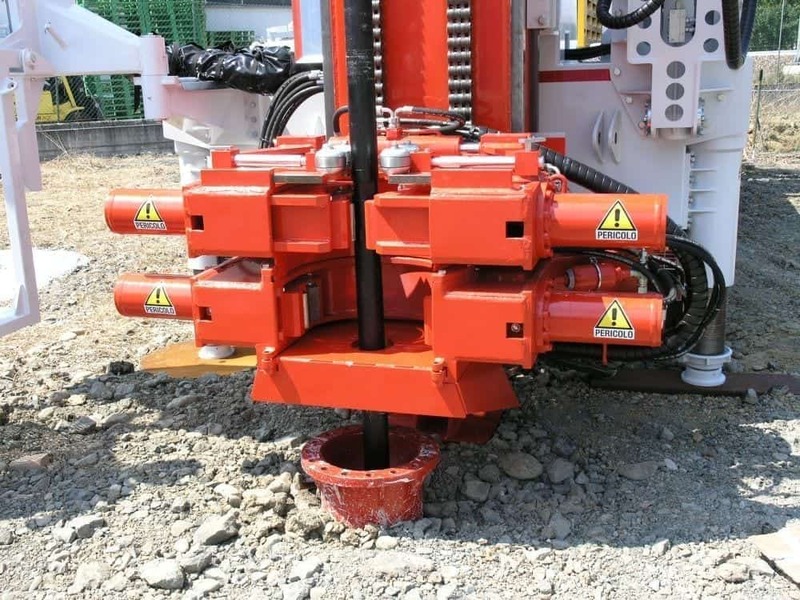 - Double openable clamp: clamp lateral movement system by means of hydraulic cylinder, passage 1000 mm.